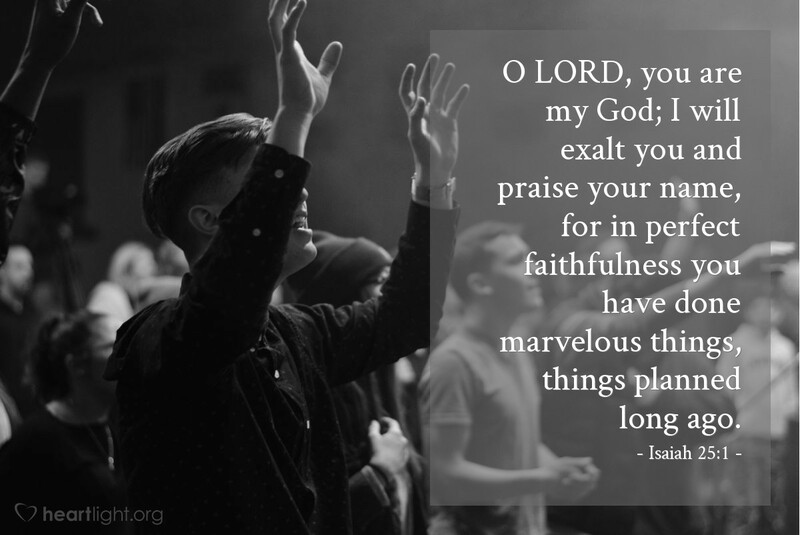 While there are many things for which we can praise God, one of the most significant is his faithfulness to do what he has planned and promised. While many of us are big dreamers and schemers, only God can accomplish the marvelous plans that he alone can make! Amazing and awesome God, thank you for planning a world so full of variety and beauty. Thank you for your amazing and wonderful works. Thank you for having a plan of salvation for us even before the creation of the world. Please help me be more diligent and disciplined in the plans I make to honor you and bring you glory. In Jesus' name I praise you. Amen.